However, this year my husband and I came across this course called “5 Days To Your Best Year Ever” by Michael Hyatt. He designed it for “busy, high-achievers” like me… well at least that is how I would like to think of myself. My past is spotted with holes of unrealized goals because life just “got” in the way. In reality I haven’t found the right thing to keep me on the right track. I had never learned how to plan, create real goals, and I had never learned how to put those goals into workable action. That is where this course comes in and it has been amazing. Yes, we just started this the first of the year, so no we haven’t seen the end results yet, but after all the work we have put into this I believe it will be our BYE because we now have clear have working steps for every goal and more importantly, our reason WHY. I will be sharing about our walk throughout the year, as well as about aspects of all of my goals I have set for myself. Some are personal and fun, others are serious! All are good. I may not hit them all… but I will never reach them if I never try and I never have a plan to work. To cultivate a stronger and more pure relationship with Jesus so I know His voice better and I will follow Him no matter what. To cultivate a more vibrant and Godly marriage. 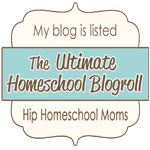 To be a better mom and homeschool teacher. To revamp my blog and write again. Now of course my goals in my workbook are much more specific with great action and purpose. What I just posted is very general and if they were left that way wouldn’t get accomplished because they are ambiguous. That is why I love this course, it gets you into the meat of the matter. So, as I blog this year, the things in my life that fall into those categories will be on the list to share. The summer is winding down as evidence by the crazy whirlwind that my life is right now! I have been busier than ever and it isn’t going to slow down for a few more days. In just hours I am off to our yearly women’s retreat at our church to serve and minister to other women and to hear what God has to say to me. As I prepare to leave I am reminded of something wonderful that begins next week. So before I leave I wanted to share A.C.T.S. (A Call To Service) with you! It is not for us adults. Us mom’s know how hard we serve already. 😉 This is a program to get our kids to serve! Our culture puts an extravagant amount of energy into raising kids who will grow up to feel good about themselves. In schools, clubs, homes, and even at church, adults have made a decided effort to bolster children’s “self-esteem” –not by actually encouraging kids do something that’s worthwhile, but by simply telling them they are important and valuable. At the turn of the century, researchers predicted that the next generation would respond to these efforts of raising self-esteem by being filled with optimism and civic duty. Unfortunately, recent research shows the opposite. Kids coming of age today are more self-centered, disrespectful of authority, and depressed than ever before. In a very real way, then, the best path toward building selfless, confident children is to help and encourage them toward a growing and thriving faith in God. And that includes obedience to what God teaches—not because it makes kids feel good, although it often does—but because they’re following God’s instructions to love Him and serve others. That builds a faith they can count on and carry with them into adulthood—which is the greatest gift any parent can bestow on their child. Join Adventures in Odyssey this summer to discover how fun it can be to serve others! Adventures in Odyssey, the beloved audio series from Focus on the Family, has encouraged kids toward a stronger faith for 25 years. Whit, Connie, Eugene, and the other loveable characters from Odyssey have shared countless adventures with kids across the world in the classic audio dramas, books, videos, and devotionals, fulfilling the AIO promise to help kids discover, imagine, and grow. This summer, Adventures in Odyssey is joining with Christian bookstores across the country, inviting kids to participate in a Summer of Service. They’re promoting the biblical message, “When you serve, everybody wins,” encouraging kids to serve their families, their communities, and their world. Whether it’s baking cookies for an elderly neighbor or putting together a care package for missionaries overseas, kids will discover that serving can be a blast! Kids who join A.C.T.S. can pick up a service log and collect fun character stickers for hours served at participating bookstores throughout the summer, or download a serving log online at whitsend.org. At the end of the summer, kids can record and upload a short video telling how they serve and why they’d like to become an Adventures in Odyssey Ambassador. 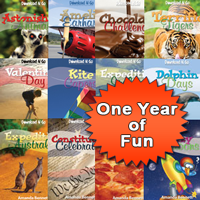 A hundred winners will get the brand new AIO Album, and after online voting, two grand prize winners (one boy and one girl) will get to travel on an exciting Good-Goers Mission Based Adventure trip to another country with a parent! The out-of-country destination will be announced on a live podcast May 22—hosted by AIO actors Katie Leigh (Connie) and Chris Anthony (Chris)—which you can watch at whitsend.org/acts. You don’t want to miss it! Just to show you some love you can download a free mp3 file of the AIO Service episode, Business of Busyness as well as the free PDF download of summer service ideas for kids. Enjoy! What will you be doing with your kids this summer to serve? I look forward to hearing some fun ideas! God Bless!!! The Child Training Bible (CTB) Part 2! I found out about CTB about 4 months ago and it truly intrigued me. I mean really, use the Bible as a source of correction and growing up our kids? Who would have ever thought of that? Oh yeah, God! lol He is the most perfect parent and if we just lean on Him we can do what we need to as parents. Anyway… I wanted one the first time I saw it. When you order from CTB you don’t actually get a Bible, you get the CTB Chart Set but on that same order page there are convenient links to all the other supplies you will need as well. You will need to get a Bible, and the Charts only fit a particular size so I recommend using the links on CTB‘s site to find one right for you. You will also need highlighters or pens and tabs. It is really pretty simple. The idea behind CTB is when your child is acting in a way that isn’t Godly, such as arguing, then you go to the CTB and read to them the verses that talk about that and help them learn that they need to act differently because God created them to be different. For a great video tutorial check it out here ~ CTB Video Tutorial. For me, once my daughter was upset because she had been called on her attitude or whatever the situation was, it worked but didn’t have the desired affect I was hoping for. So this is what I did. Each day I took a section and we read the verses together in the morning, when we were both in a great mood. We talked about them and discussed why they were good and why God wants us all to act in such a way to bring Glory to Him. This seem to have the most influence on her. During our time reading together she would bring up things she has done in the past that went against what we were reading and she had real remorse. During the day she seems to stop herself quicker and she is easier to guide. So for us this has been an amazing tool even though I had to use it slightly different than the way it is intended. For my daughter I had to be proactive instead of just reactive. CTB has truly been a blessing in our home. I pray you take the time to check it out, I believe you will be blessed. Thanks Mindy Dunn for letting the Lord work through you to create CTB. If you have used CTB I would love to hear your feedback. If you use something else to help bring your children into awareness of their behavior I would love to find out about that too! God bless! Disclaimer ~ I received the Child Training Bible Chart Set for free in order to provide you with this review. However, all of these thoughts, ideas and opinions are my own and have been given with all honesty. Thank you! A great way to connect with your kids! In today’s day and age it is very easy to lose connection with our kids. Alarmingly, it happening at younger and younger ages. God has put this on my heart and I have thought about it a lot. I have a 8 year old daughter and the thought that we may someday be separated by silence is heart wrenching and quite frankly it scares me. So, with that thought and much prayer I set out to come up with a way to keep us connected in some small way. Something that would strengthen the bond we already have and I think it is a fun one at that. Can you see me smiling?! Journaling! Now, to some this may originally sound boring. I know some people do not like to journal for many different reasons but hear me out. 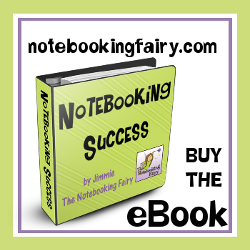 This is not just any journal it is something that will be fun for both you and your kids. It will also give your kids a way to say the things they would never say out loud! If you do this set out to make something special. You could choose to go and buy a journal. If you did make it fun by making it a date and pick something out together that really speaks to the heart of your child. My daughter is super crafty and creative. UNLIKE ME! I am not. So I decided that I would create her journal even though it would be a challenge for me. I made it for a couple reasons. First I needed cheep, we are on a budget like many families and sometimes you have to do with what you have. A novel concept anymore I know but a good one none-the-less. And second because I knew it would mean a lot to her and that is what mattered most. So here is what I did, first I took a small notebook I had and since I didn’t want that white paper on the front that looks so boring I decided to add a cardboard front too it using rubber cement. I forgot how stinky that stuff was! After bonding the cover over the original I decided to put a name on it so Muppin would know what it was to be used for. It was a journal for us so I put our names on it. She helped me decide where the flowers and hearts went and decided when we were done drawing. She had an incredible time doing this but still didn’t know what it was going to be used for, it was a surprise! Before I put the cover on and before she knew what I was up to I wrote a note inside the journal. The note started out, “My dearest Muppin! I love you so much…” and went on to explain what this journal was for and why I was doing it and then finally how to use it (we will get to that in a moment). I can’t explain to you the excitement in my daughters eyes when she read the words on those pages. You could see that she was feeling really loved and cherished. She was feeling like she was super important and that she was going to be heard and really listened to. Now she is only 8 but being heard and understood is still important to her. My heart soared with excitement knowing that she was going to be sharing with me and I with her all the things that are important too us. We were on our way to strengthening our bond we already have, making it unbreakable. As for the practical use of the journal here is how you use it. You give it to your child and after you read to them, do their devotionals, cuddle or talk… you know, all those bedtime things we do together?!! When those are done and you have kissed them good night it is their time to write. See, a lot has happened in their little day and this helps them get it off their chest. They can write about what happened with friends, what happened with you, the family or the dog. They can also write about what has upset them, made them happy or things that confuse them. They can ask questions about God, boys, friends, or your family relationships. Most importantly when there is something that is too difficult to say out loud, they can write it here and not fear what will happen. It gives them a sense of release and the sense of an open door. They know they will be listened too. Now when they go to sleep they put it on their side table, dresser or book shelf and go off to slumber land. The next morning it is up to you to go get it, take it to a private place and read it. The most important thing you will need to remember I believe was something the Holy Spirit really wanted me to convey and it is this… never act shocked, shaken, angry or freaked out over what you read!!! I repeat, remain calm no matter what! Or you have lost them. This must always be and remain a safe place remember?! Once you are done reading what they have written you then write back to them, answering all their questions, giving them advice kindly, and most of all telling them how much you love them no matter what they let you know. I have told my daughter that I might come talk to her about some things once in a while, but that it will always be out of love. And if it doesn’t sound like I am being loving she has my permission to tell me so. Her heart was so filled with excitement. She is ready to communicate and to connect. This will be a lot of fluff for a while I am sure. She is only 8 you know. But as she gets older, and this tradition continues… How much more valuable will this be? I would love to see your thoughts on this… and pictures of yours. Share your blog links and pictures and how things are working out for you. Most of all… may your relationships with your kids always be blessed! Yesterday I wrote about how we came to the point where we felt we needed to do something different than school. During the time of wondering how I could possibly help my daughter I was pouring my heart out to someone and they mentioned homeschooling. I must admit when I first heard her speak of homeschooling fear overcame me. “I am not qualified to teach daughter… I don’t even know how to start… My daughter would drive me crazy or I would drive her crazy… What in the world will happen to my daughter if I choose to do it?.. Won’t my daughter be scarred for life?..” On and on the fear-filled questions went. And I must also admit that those questions still come from time to time. But as I researched the subject, literally spending hundreds of hours going to dozens of blogs, dozens of websites that were for and against homeschooling, and dozens of curriculum websites, not to mention speaking to people in person, I have found that everyone who makes this decision goes through the same kind of stress and worries when trying to come up with the right decision for their child and family. That was a comfort. What has been more comfort are the statistics I have found while doing my research. If you look at the education aspect alone, homeschoolers test much higher on average than traditional school kids. They transition into the non-school world much better and high ranked colleges are now recruiting homeschoolers because they work better on their own, have more original ideas and are more self-motivated. They know how to learn and love it. That was enough to get me to thinking more earnestly. Then the next thing that I researched was how it would affect my family and its dynamics. Would we get closer or would it drive a wedge between us. That was exciting to read about as well because blog after blog, story after story, book after book all I found was that the bond between children and parents and siblings was strengthened and sealed on a deeper level than ever before. It was a lifestyle, not just school. I wanted that too! My daughter has learned how to play nice not only with kids her own age but older kids and younger ones. She has learned how to have fun with seniors and adults of all ages. She has helped feed the poor and do other kind things for people. Not saying that kids in school don’t learn these things as well, just that homeschoolers do too and it can often be the focus. When I started to see all the opportunities and possibilities, far more than I could share here, I started to get excited… very excited! 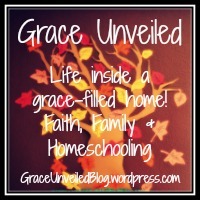 It wasn’t how I ever expected to feel when the word homeschooling was ever mentioned. During this whole time we asked the Lord to weigh in on the subject. Because without His leading where would we be? We knew that if we listen to God, researched wisely, made no rash decisions that we would be able to come to the right decision for our family. God knows what is best for us, and He will guide our every path during this decision. God has also given us very strong command to “Train up a child in the way he should go, and when he is old he will not depart from it” Proverbs 22:6. It is our responsibility to make sure our kids learn, even and especially if they go to public school. Homeschooling puts that responsibility square in your lap, and that can be a very good thing for our kids. If you are thinking of homeschooling, remember that other people’s experiences are vital. Research is a must. Knowing your family is imperative. But if you do not consult the Lord through it all, then you are flying by the seat of your pants. You may end up doing the right thing, but not without a lot of stress, heartache and bumps that could have been avoided along the way. I pray you are able to make the right decision for your family with God’s help. If I can ever answer any questions I am more than happy to do my best. Thank you for listening to our story. God bless and have a wonderful New Year!!! I am excited to be able to provide a review on the amazing new tool to help parents in bringing up our kids with Godly wisdom. I just received my Child Training Bible (CTB) chart set a few days ago and have been acquiring the other tools I have needed to set up my CTB. I was excited to start my set up yesterday. I have to admit that I was expecting a long tiring time of finding all the Bible verses and placing the tabs in just the right place. However, the opposite is true. I did the top tabs in a little over an hour while also helping my daughter with her language art and spelling homework at the same time. So I wasn’t able to just sit and focus the whole time on the Bible. To me this process seemed to go very quickly. The only complaint I have so far is the markers. I purchased the very inexpensive black pew Bible because we have several other versions already and I didn’t have the money to spend on another expensive version. The Bible is perfect, however the darker colors of the marker bleed through to the other side of the page. You can see in the picture the color is great to see the Bible verse on the page it is intended for, but I didn’t like the bleed through. So instead of using those markers for the rest I used the Sharpie Pens… NOT Sharpie Fine Point Markers… they are different. I use the pens to underline my text. You can find them on Amazon here & here. I use the Sharpie Pens in my good Bible every single day with no bleed through so I love them!!! A LOT!!! 🙂 And they come in all the colors I needed for the CTB. If you are going to use a nicer Bible for this I would recommend testing the marker on a page in the back to see if it bleeds through or not. If it does, then the Sharpie Pen is an excellent option! I plan on finishing my tabs today so that I can get started right away on using this with my daughter. I have one word of caution! As you read the Bible verses that you are underlining, you may be convicted on your own behavior 😉 God is good, all the time! Keep your eyes open for more about the CTB in the very near future. In the meantime to check out their website please go to the Child Training Bible or you can click on my picture above to watch a tutorial on how it works. Also keep your eyes open for a future giveaway! If you have been using the CTB I would love to hear your feedback. 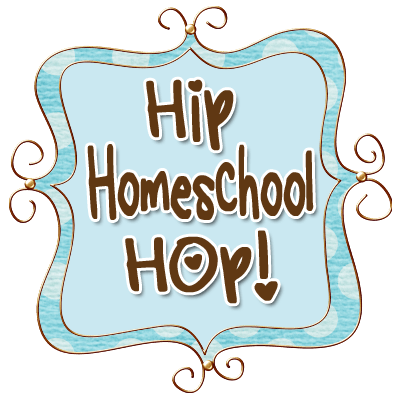 Homeschool Freedom - Beware of Shiny Things! All rights reserved. Please e-mail graceunveiled at gmail dot com, for permission to use any of the content, especially if you want to do more than make an accredited link to a post, or if you would like to purchase, exhibit or license any of my photography or writings. Thanks! Hop on for the ride! Share the love and grab a button! A soft place to fall, some poetry, some stories some random thoughts but most of all a place that I hope blesses those who stop by. Observe life at its best, listen to life’s songs, embrace life’s bounties, breathe the breath of life and savor life to its fullest! Making people better, one day at a time. His word was in my heart like a burning fire shut up in my bones; I was weary of holding it back, and I could not (Jeremiah 20:9b). where everyone (especially me!) is learning . . .
Shining a Light into the Dark!